VTEC. What is VTEC, and how does it work? Variable valve timing and lift electronic control. 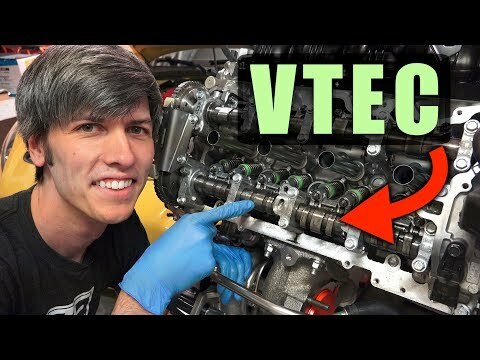 How does VTEC make more horsepower? VTEC stands for "variable valve timing and lift electronic control." I guess Honda knew it was more difficult to say VVTALEC and it probably wouldn’t look quite as cool as a sticker on the side of a car. VTEC allows for differing cam profiles, meaning different valve lift and duration, depending on the engine RPM. This video will dissect a Honda Civic Type R engine to show the ins and outs of how VTEC works. The Type R, unlike many previous performance Honda engines, only has VTEC on the exhaust side, with just a single cam profile for the intake. Why? All will be discussed in the video!